Victor Frankenstein is a Swiss scientist with a mission to create an artificial human. Without considering the consequences of such progress, he succeeds with terrifying results. After wandering the world alone, the monster eventually comes for Frankenstein’s family. Horrific events unfold until the doctor tentatively agrees to create a mate for the creature. Ultimately, the doctor refuses in an effort to spare humanity but bears the terrible and personal penalties of his decision. Two hundred years later, Frankenstein still poses a myriad of critical ethical questions. 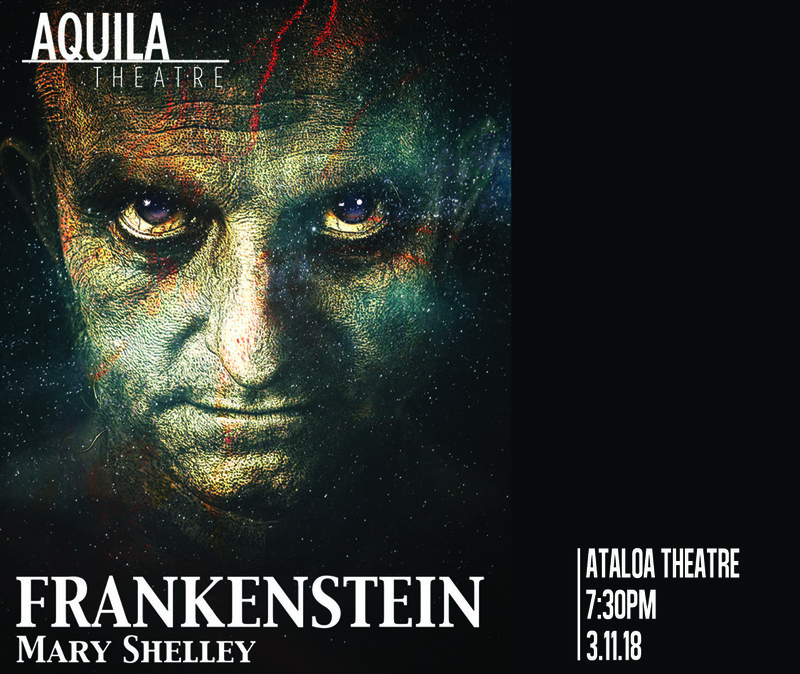 Aquila Theatre’s production of this timeless classic will be bold and thrilling!